[ Сообщений: 2468 ] На страницу Пред. 1 ... 163, 164, 165, 166, 167, 168, 169 ... 247 След. 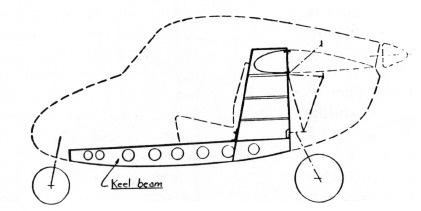 A keel beam connected to a central wing box of an aircraft and ensuring the connection between a front structure and a rear structure of an aircraft is characterized in that it includes, on the one hand, a U-shaped body with a horizontal base and two solid lateral walls, and on the other hand, a cover which has a U shape oriented in the same manner as the body, with a base in the lower portion and curved edges, the ends of which are oriented upward so that each curved edge includes an outer surface flattened against and fixed to the inner surface of the lateral walls in order to define, with the body, a closed section, the cover including openings for accessing the inside of the keel beam. Умного не скажете, а дурь множите. Может поблещите на американском форуме? Как вы У-хромосомные задрали. Бедная Украина. Похоже, Вы таки искренний распиз разгыльдяй, как и я. Вам нравится жить.